In 1923, Yrjö Väisälä became professor of physics at the newly founded University of Turku, assuming in 1927 responsibilities for astronomy, and in the 1950's founded Tuorla Observatory. In many ways Väisälä can be thought of as the father of space research in Finland. Väisälä was truly forward thinking in the use of space for scientific research. He proposed in 1946, at a meeting of the Academy of Finland, the use of rockets or balloons with on-board flashes so that geodetic triangulation could be made even between the continents, and suggested that artificial satellites would be even better. The next year he was already doing experiments with small rockets, and giving interviews explaining how artificial satellites could be used to explore the solar system, and beyond! On 17 April 1950 the caretakers of the Tuorla Manor House consented to the request by Yrjö Väisälä to move the observatory of the university from Iso-Heikkilä to Laukkavuori in Tuorla. In 1951 Väisälä completed his detailed plans of the observatory including meterological and optical instruments. The observatory was officially founded on 29 April 1952. The 71 metre long optical tunnel was built between 11 February 1952 and 31 May 1952. During 1953 a vertical tunnel was built inside a concrete pillar, which was 27 metres from the bottom of the tunnel or 15 metres from groundlevel, and 6 metres in diameter. It took a further 7 years, before the concrete pillar was completed with a dome on top of it. The older section of the present observatory building was completed in 1957. Research activities during the leadership of Väisälä included setting up the geodetic triangulation network for measuring distances, optical work, Zenith telescope studies of polar motion, detections and orbital calculations of minor planets and comets. 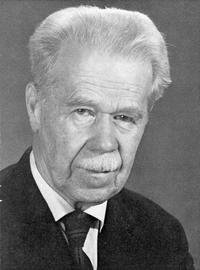 Professor, Academician Väisälä was the director of the observatory until his death on 21 July 1971. Väisälä was a superb optician, using the tunnel under the hill at Tuorla Observatory, from which interference measurements defining the length standard for geodesy were made and later adopted internationally. The highest quality optics were produced, Väisälä being one of the few in the world who could produce the demanding corrector glasses for Schmidt telescopes. Väisälä actually thought of the Schmidt-type telescope several years before Schmidt, and included the design in his lecture notes on optics, but thought the idea so obvious he didn't publish it further! Väisälä, together with Liisi Oterma, who later became professor at Tuorla, discovered more minor planets in their most effective years than all the other observatories in the world put together. Prof. Liisi Oterma became director of the observatory after Väisälä. In 1971 a new 60cm reflector was erected. During the 1974 nationalisation of the Turku University, the observatory lost its independent status and became part of the Department of Physical Sciences. Prof. Vilppu Piirola was the director of the observatory in 1978-80. Piirola broadened the research activities of the observatory with polarised stellar systems. Prof. Mauri Valtonen became the director of the observatory in 1980. The scope of the research was vastly broadened as active galaxies became a significant field at the observatory. Stellar dynamics and optics stayed as vital field of research. In 1989 the Observatory buildings were enlarged, and in 1991 Tuorla became once again an independent research institute under the direct jurisdiction of the university. In 1990-1995 and 2000-2001 Valtonen was on leave from directorship of the observatory, during which time Professors Pekka Teerikorpi, Seppo Mikkola and Chris Flynn took up the directorship. In 1995 the Tuorla staff member Vilppu Piirola was appointed to the directorship of the Nordic Optical Telescope, serving through till 2002. Prof. Esko Valtaoja took over the reigns from Mauri Valtonen in 2002; much of the research is now part of a push into space-based astronomy and astrophysics; Valtaoja's appointment was as a new chair in space-based astronomy. Yet another new building was added to the hill, containing 12 new offices and 2 flats for visitors and observers; a millimetre Solar radio telescope was installed and commissioned. In 2002 Tuorla Observatory turned 50!